The product has a plastic shrink wrap seal around the cap (outside) for protection from contamination. Sealing inside the cap with an authentication code. Product Usage - Proburst’s Whey Supreme is an anytime source of high-quality, quick-absorbing proteins. The 24g of protein and 5g of BCAAs will ensure quick recovery and superior muscle synthesis to help your body grow stronger, faster. Whey Supreme can be consumed at any time of the day and after any activity/sport. 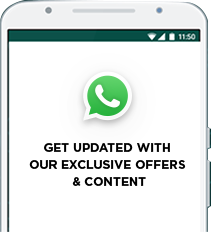 The recommended occasions to consume whey protein are: EARLY MORNING: Consuming Whey Supreme when you wake up will help kick-start your metabolism, counteracting the catabolic effects of starvation the body experiences through the night. 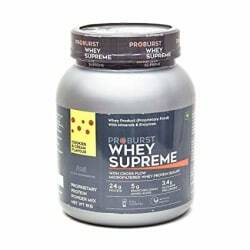 IN-BETWEEN MEALS: Whey Supreme provides a concentrated dose of high-quality protein which, will help curb appetite and reduce the chances of binge eating. POST WORKOUT: Whey Supreme will provide 24g of high-quality protein, helping reduce muscle fatigue and promote protein synthesis, during your body’s period of stress and recovery. BEFORE BED: Whey Supreme will keep your body fuelled through the night, aiding metabolic functions and eliminating the effects of muscle catabolism.